ISTANBUL, July 12, 2018 /PRNewswire/ — MSL has brought its brand to Turkey, formally naming an existing Publicis-developed PR capability in Istanbul as MSL. The new office is MSL’s 107th. The MSL Istanbul unit, with 12 people, will be part of a strong integrated offering in Turkey that will feature the capabilities and expertise from Publicis İstanbul, Publicis Healthcare, Arc, Voden, Leo Burnett, Publicis Emil, Saatchi & Saatchi, Starcom, Spark Foundry, Zenith, DataWise and Performics all under the Publicis Groupe Türkiye umbrella. 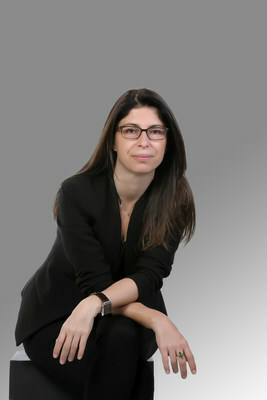 Mehin Öner will lead the unit as its CEO, making Istanbul the 34th office in the MSL network led by a woman. In the last two years, MSL has converted existing operations around the world from Arc Worldwide and Leo Burnett to the MSL brand. These include Sri Lanka (Jan. 2016), the Philippines (June 2016), Thailand (Dec. 2016), Egypt, Lebanon, Qatar, Saudi Arabia and UAE in the Middle East (September 2016), the Czech Republic (Nov. 2017), and Malaysia and Indonesia (both Apr. 2018). Prior to taking on the role of CEO of MSL in Turkey, Mehin Öner served as reporter, editor, senior healthcare editor and news head at some of Turkey’s most influential publications — Hurriyet Daily and Forbes. She served in strategic communication roles at global PR firms, Grayling and Weber Shandwick Turkey. Before joining MSL, Mehin directed global media for more than 20 markets at Arcelik A.Ş., Europe’s third largest home appliances company. She also managed global communications of Beko’s “Eat like a Pro” and Grundig’s “Respect Food” CSR projects globally. MSL is Publicis Groupe’s public relations and integrated communications network, one of the world’s largest. It provides strategic counsel and creative thinking while championing its clients’ interests through fearless and insightful campaigns that engage multiple perspectives and holistic thinking to build influence and deliver impact. With more than 3,100 people across more than 107 offices worldwide, MSL is also one of the largest PR network in Europe, and the fastest growing in China and India.